On February 24, 1987, something unusual happened as astronomers Oscar Dhalde and Ian Shelton observed an unbelievable picture sitting on the top of a Chilean mountain: a new star in the night sky. That is something not happened frequently. New video released by NASA shows a revolutionary astronomical moment in a whole new light. Most astronomers agree the explosion occurred because the star's core ran low on high-energy fuel, while some believe another star merged with the blue super-giant to generate the blast. In that moment, the fusion-powered core of the star began to fade. The cause could be any one of both as the star collapsed under its own gravity, exploded, created the power of 100 million suns in the process. We now call the object Supernova 1987A, or SN 1987A. It is the first time when scientists were being able to record the supernova, and it was also the brightest one, seen for last hundred years. NASA's Chandra X-ray Observatory team said: "Supernova 1987A became one of the best opportunities ever for astronomers to study the phases before, during, and after the death of a star”. This data that has been recorded gives astronomers an extra edge to study of how stars form and die. 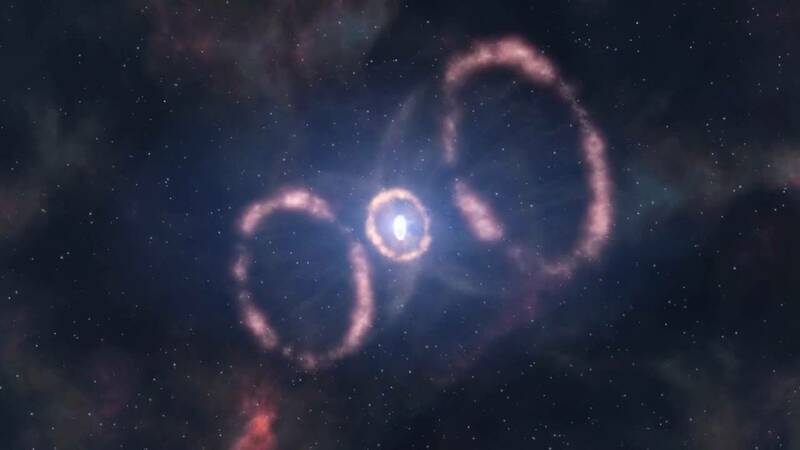 NASA recently honored the supernova's anniversary with a bunch of new multimedia, and a few of the images and an animation caught our eye. This animation gives you some hint about that where in the night sky SN 1987A is located. The remnants lurk inside the Large Magellanic Cloud, a dwarf galaxy that trails the Milky Way some 168,000 light-years from Earth. It took really long for the light to reach us as this event technically happened 168,000 years in the past. About once a month over the course of more than past many years, the Hubble space telescope has photographed SN 1987A and its traveling shock wave. Starting around the year 2000, they saw the shockwave begin slamming into a 1-light-year-wide ring of gas and dust that the star threw off before its death, creating a brilliant, bubbling glow. According to a pre-print study posted to arXiv.org, researchers now believe the high-speed blast wave is leaving the field of gas and dust, marking the beginning of a "major change" in its evolution, this new animation is of a computer model that shows SN 1987A's explosion and entire evolution through 2017, and in three dimensions. The study on this model arXiv led by, an astrophysicist Salvatore Orlando at the INAF-Osservatorio Astronomico di Palermo in Italy.